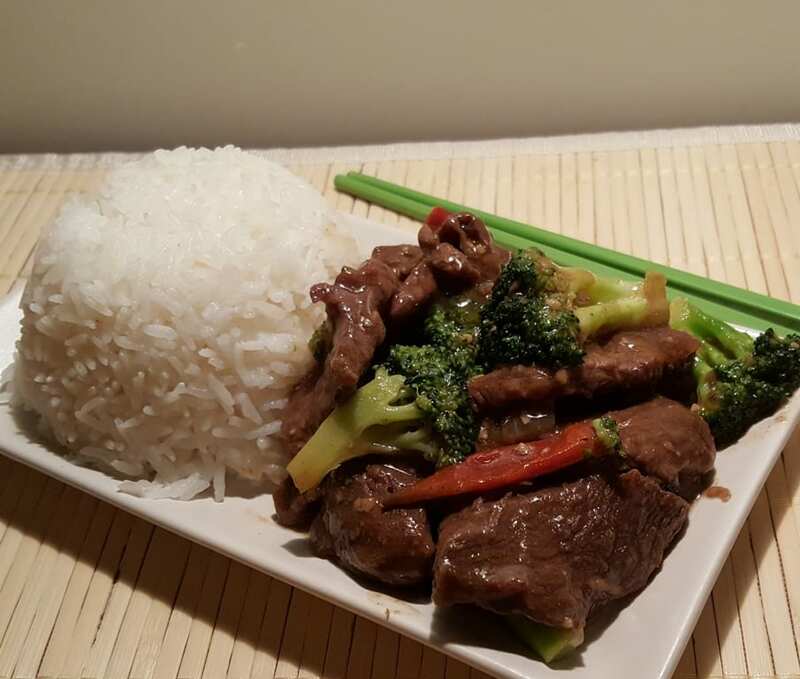 This Pressure Cooker Chinese Take-Out Beef and Broccoli is better than any restaurant. Make it a one pot meal and cook the rice using my “pot in pot” method! We actually stumbled onto it one Christmas Eve while driving around looking for a new Chinese restaurant. It was just a “hole in the wall.” That hole in the wall, turned out to be the best Chinese restaurant we had been to in many years. It became our go-to Chinese Christmas Day restaurant (and many days throughout the year). You have probably heard the joke that Jews eat Chinese food on Christmas, right? We moved back to California, several years ago and it is really hard to find good Chinese food anywhere. I mean, it is hard. They are few and far between. If I want really good Chinese food, China Town or San Gabriel is the place to go. But, alas, there aren’t any good places locally. So, I’ve been developing my own recipes for yummy Chinese food in my Instant Pot or Pressure Cooker. 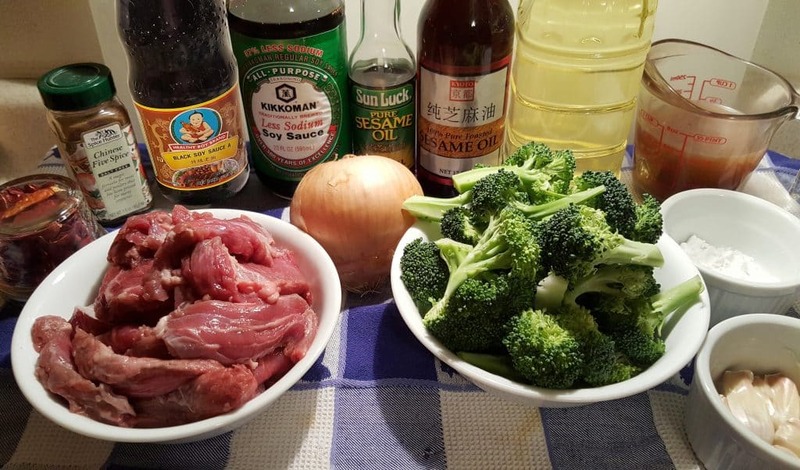 You won’t believe how easy it is to make Pressure Cooker Chinese Take-Out Beef and Broccoli, in your Instant Pot or Pressure Cooker. Many of the recipes on line add a ton of brown sugar are way too sweet, too salty and don’t have that authentic Chinese flavor. They are missing some important key ingredients, used in Asian and Chinese cooking. One of those ingredients is Sweet/Black Soy Sauce. I love authenticity! Chuck Roast works wonderfully for this recipe, but you can use Rump Roast or Flank Steak. If using a Sirloin or Skirt Steak, you really don’t even need to pressure cook it, as it will become a bit tough. Healthy Boy Sweet/Black Soy Sauce is my favorite brand of Sweet/Black Soy Sauce, but the Kecap Manis Brand works as well, and is available on-line. It is something I use all the time in my Asian cooking. Sweet/Black Soy Sauce is a thick sweet syrup, much like molasses with a bit of a salty taste. Another wonderful ingredient that I use in many of my Asian (and American) dishes is Three Crabs Brand Fish Sauce. It adds a huge level of flavor, without being fishy. If you are grossed out by it, just leave it out. You can substitute the Sweet/Black Soy Sauce for Molasses or Brown Sugar and 1 teaspoon of Light Soy Sauce if you like, but I strongly advise against it, if you want authenticity. 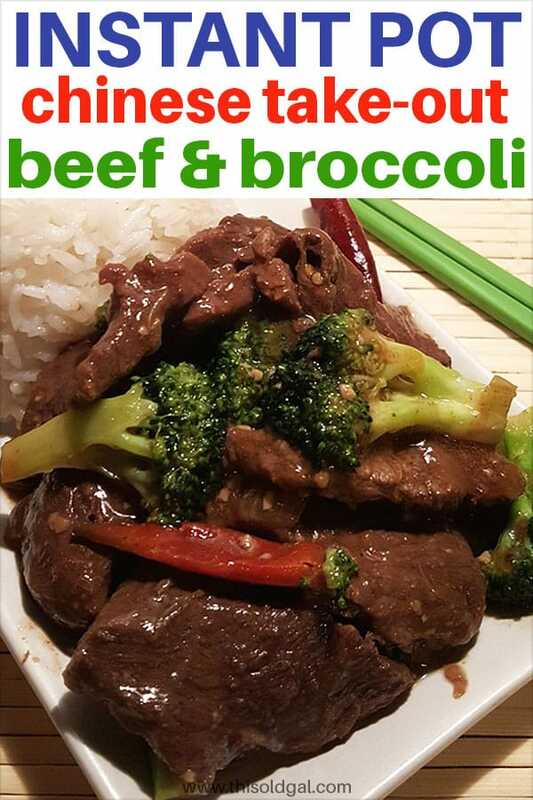 I personally do not like that sweet, cloying taste in my Beef & Broccoli. If you cannot find the Healthy Boy Brand, please make sure your Sweet/Black Soy Sauce is very sweet and thick. 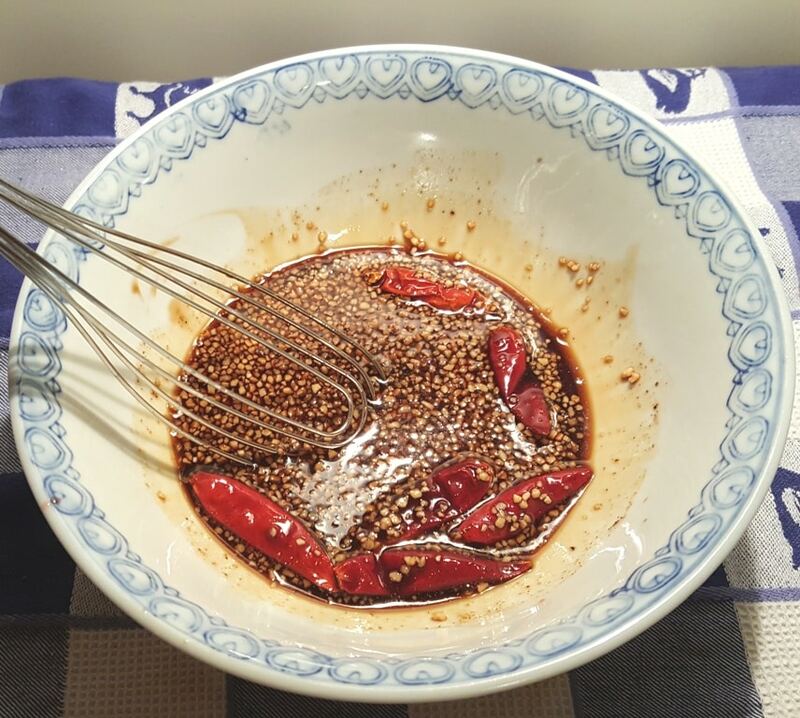 Chinese Five Spice is another spice lending authenticity to this recipe. 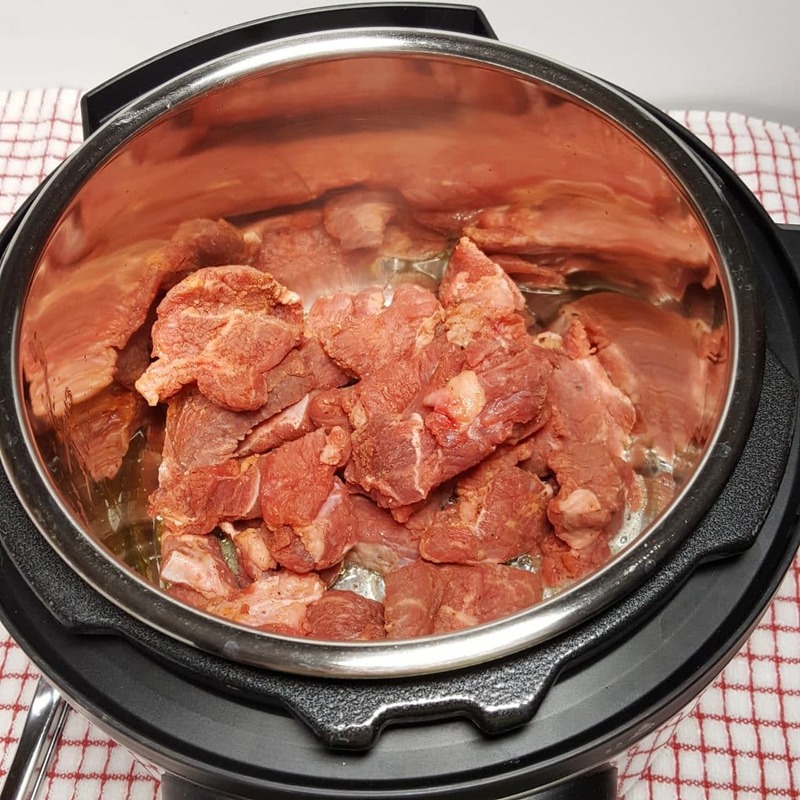 If you would like to cook your rice at the same time and in the same pot with your Pressure Cooker Chinese Take-Out Beef and Broccoli, please check out my Pressure Cooker Perfectly Cooked Pot In Pot Rice recipe for step by step instructions. 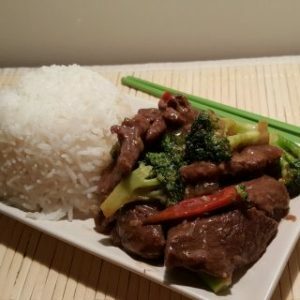 Turn this Pressure Cooker Chinese Take-Out Beef and Broccoli recipe into a one pot meal! You will just need these two accessories. 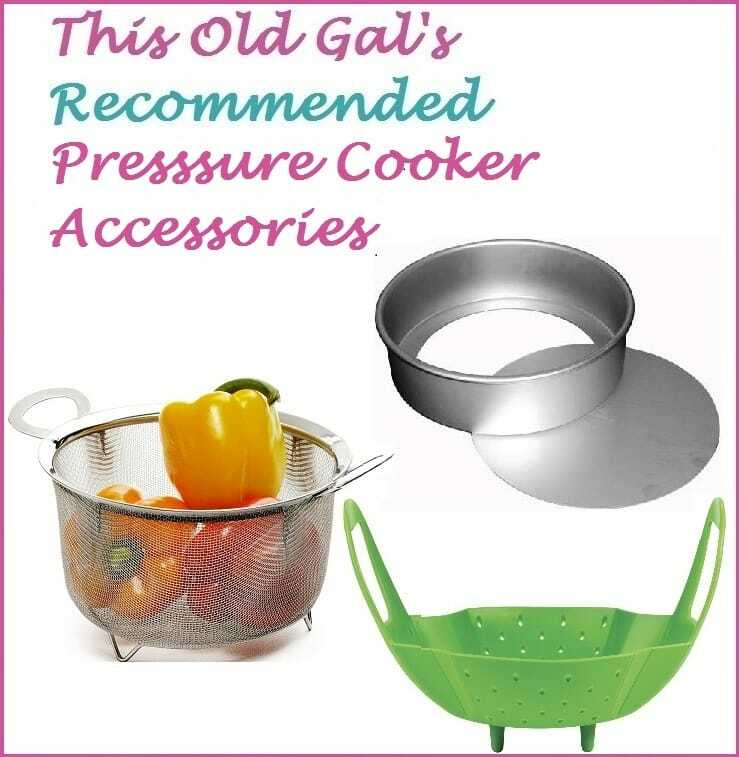 One Round Pressure Cooker Stainless Steel Insert and a Stainless Steel Tall Legged Trivet/Steamer Rack. 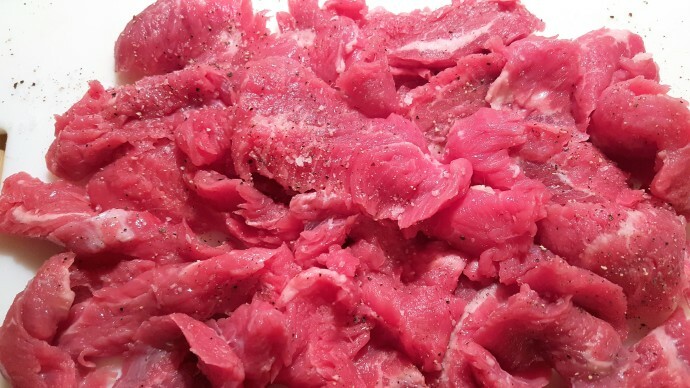 Slice the beef into strips and place them in a medium bowl. Add seasoning and massage into Beef. Whisk up the Sauce ingredients into a medium bowl. Set the Sauce aside until a bit later. Add all the Potato Starch to the seasoned Beef in the bowl. All the Beef should be very well coated. 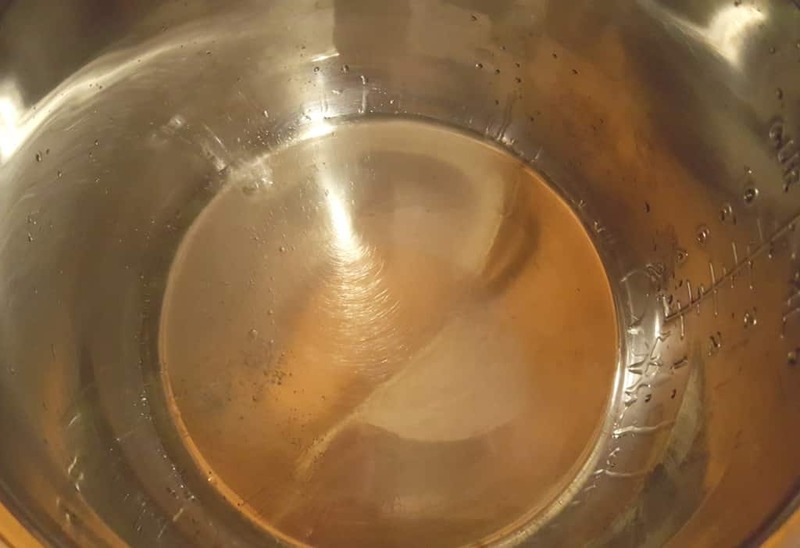 Make sure to fully heat up your Instant Pot or Pressure Cooker cooking pot before adding the oil. A very hot stainless steel pot with the fat added afterwards, makes stainless steel, non stick! If using an Instant Pot or a GoWise 8 Quart Pressure Cooker, hit the Sauté button and then adjust to “More,” which is a higher heat. If using another brand, hit the Browning button. 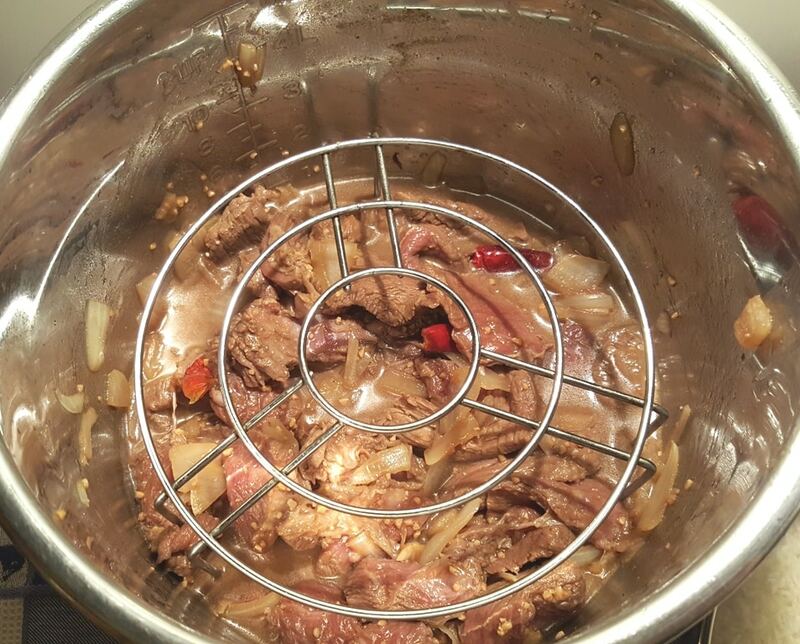 Add the coated Beef directly into the Instant Pot or Pressure Cooker cooking pot. Sauté the beef about 30 seconds in each side, until it is slightly browned. Be careful not to over cook the beef! Add Onions Low Sodium Beef Broth and Sauce and mix through to combine, scraping up any brown bits from bottom of pot. For a spicier dish, add more red peppers now, otherwise, wait and add them when you add the broccoli. Sliced carrots makes a nice addition to this Pressure Cooker Beef and Broccoli. If you use them, slice them on the diagonal and add them in when you sauté your onions. 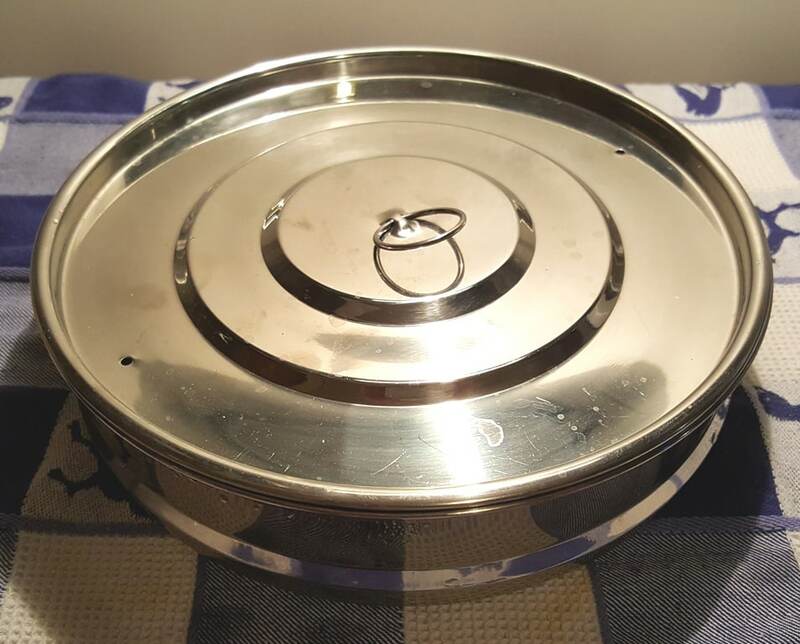 If you are making this a One Pot Meal using my Pressure Cooker Perfectly Cooked Pot In Pot Rice recipe, add your Stainless Steel Tall/Short Trivet & Egg Cooker Set. Remember, when using the PIP Rice recipe on top of a main course, additional water is not needed in the cooking pot. Add the pan of rice now. Keep the lid on top of the rice to allow it to continue to steam and finish the cooking process. While the rice is steaming, go on to the next step. Your rice will be perfectly cooked by the time the beef is ready. Turn off the Instant Pot or Pressure Cooker and then select Sauté or Browning. Simmer until the Broccoli reaches the desired tenderness and sauce has thickened. 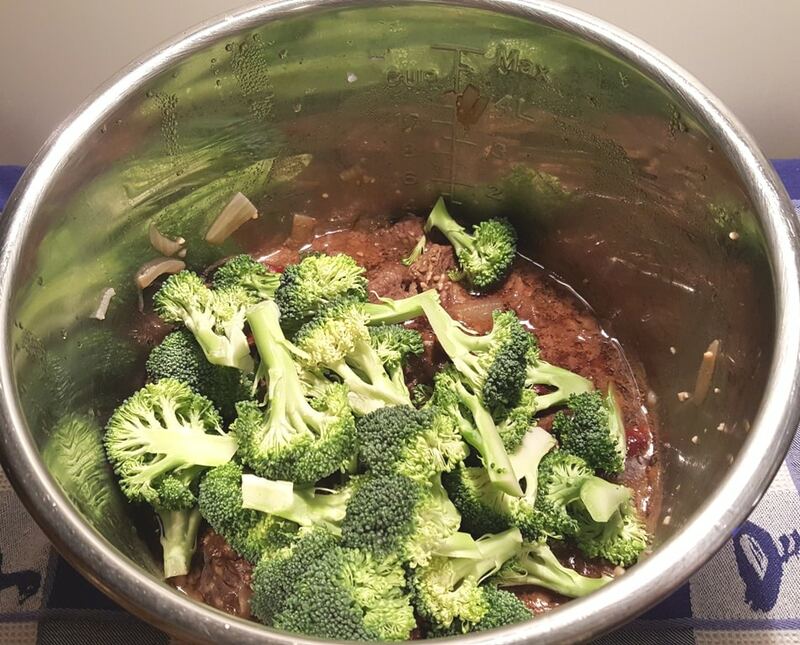 When desired tenderness of the broccoli is reached, remove the cooking pot from the Instant Pot or Pressure Cooker and drizzle the Toasted Sesame Oil over the pot of food. You don’t want to use the Pure Sesame Oil for sautéing the onions, as it will burn and you won’t get that nice Sesame flavor in your finished product. Toasted Sesame Oil is used after the food is cooked and adds extra flavoring. Remove the cover from the pan of rice and fluff. Pressure Cooker Perfectly Cooked Pot In Pot Rice. Your entire dinner has now been cooked in one pot, in under 15 minutes. Sesame seeds are optional. If you don’t want to cook your rice with the Beef and Broccoli, you can make it in a separate pot, using this recipe, Pressure Cooker White Rice. 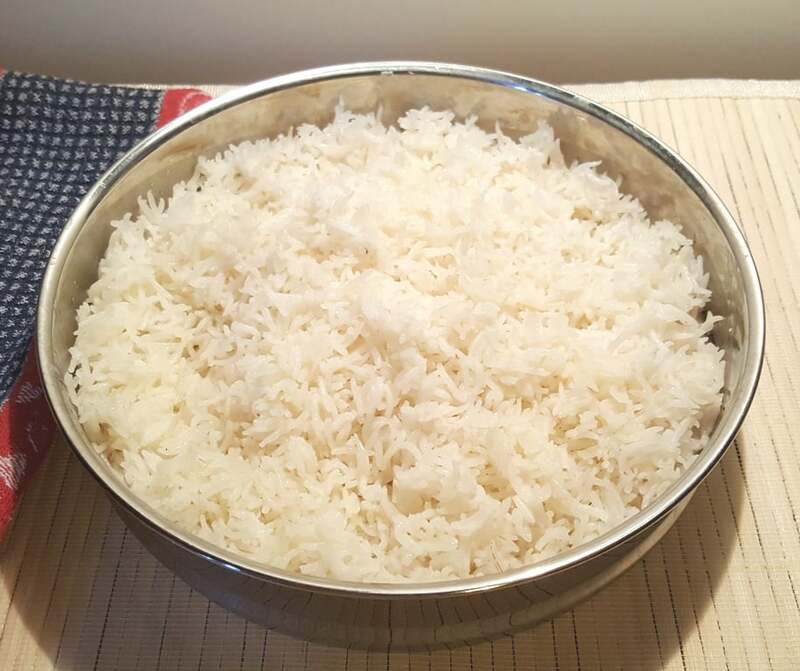 Alternatively, if you are cooking for a crowd and need a larger portion of rice, using the “Pot In Pot” method, try my Pressure Cooker Perfectly Cooked Pot In Pot Rice recipe. Pressure Cooker Perfectly Cooked Pot In Pot Rice recipe. 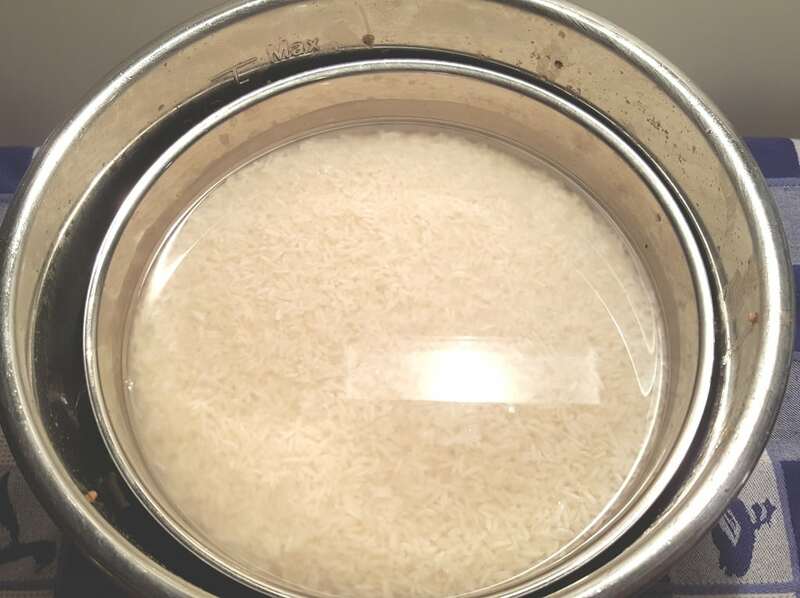 See Pressure Cooker Perfectly Cooked Pot Pot Rice Recipe. Follow Rice recipe by using measurements in my Pressure Cooker Perfectly Cooked Pot in Pot Rice recipe and set aside. In a bowl, mix together Sauce ingredients and set aside . 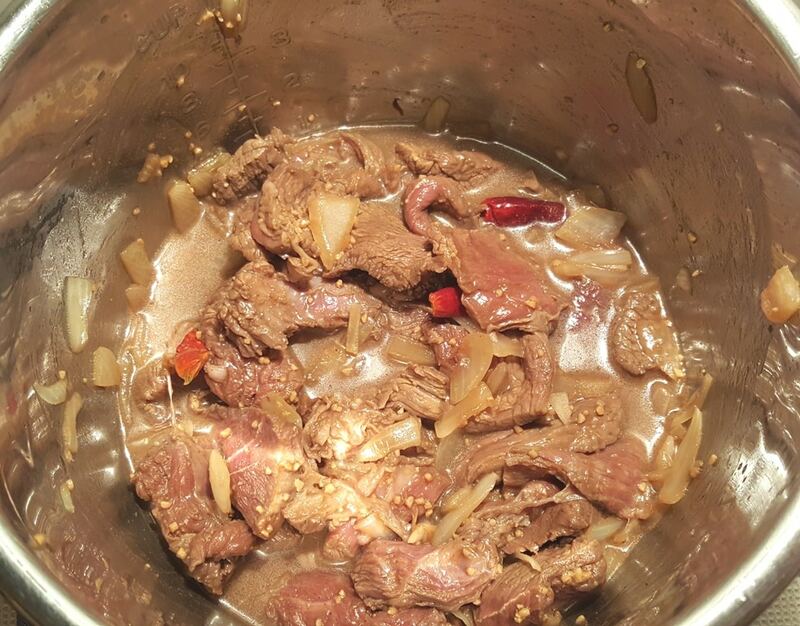 In a Medium Mixing Bowl, combine Beef and Chinese Five Spice. Massage into Beef. Add Potato Starch and coat the Beef completely. Select Sauté or Browning on Pressure Cooker and allow to fully heat and then add Peanut Oil. Add coated Beef to cooking pot and sauté for 5 seconds each side. Add Onions broth and sauce and mix through to combine, scraping up any brown bits from bottom of pot. 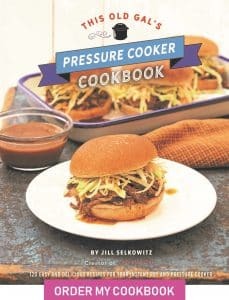 Turn off pressure cooker. Lock on lid and close Pressure Valve. Cook at High Pressure for 5 minutes. When Beep is heard, wait 10 minutes and then release the rest of the pressure. 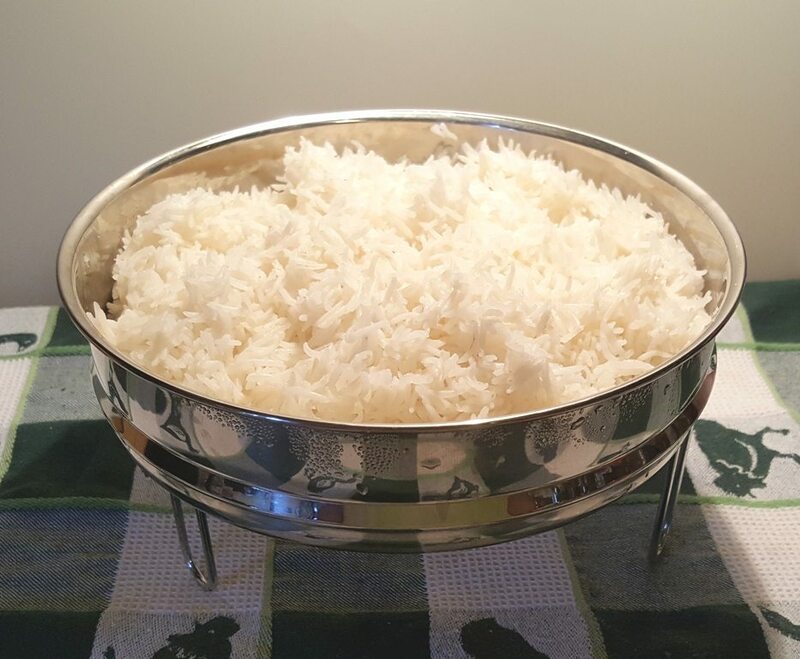 Remove bowl of rice and trivet and set aside, so that it finishes steaming while you cook the broccoli. Select Sauté/Browning and add broccoli to the pot. Simmer until broccoli reaches desired tenderness. Turn off heat and drizzle in Toasted Sesame Oil and stir. Serve over rice. For a less spicy version, add the red peppers when you add the broccoli. Red peppers are very hot and just for flavoring. Most people push them aside. 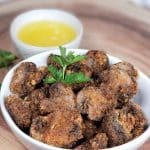 When you are thickening the sauce, thin sliced carrots, mushrooms and water chestnuts are a great addition to this dish. If you would like to use skirt steak, do not pressurize. The sautéing is enough! Black Soy Sauce is very thick and sweet, like molasses. Please make sure your Black Soy Sauce is thick and sweet and not salty. For a delicious flavored rice, substitute 1/4 cup of Seasoned Rice Vinegar for 1/4 cup water. 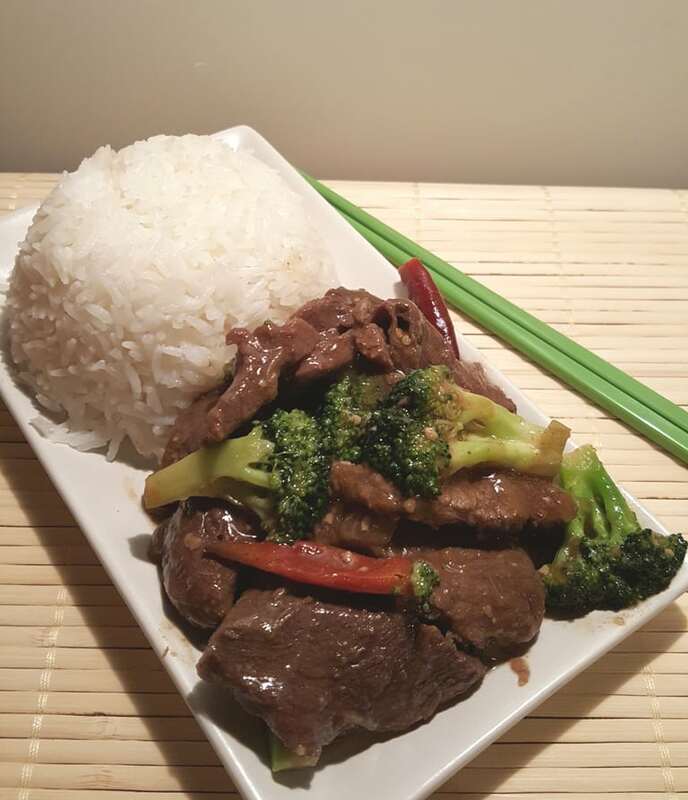 PIN this Pressure Cooker Chinese Take-Out Beef and Broccoli! Can you specify what you mean as the sub for the soy sauce? Do I add a tsp of soy sauce and the brown sugar to the 3 tbsp of soy sauce, or do I strictly use the 1 tsp of soy sauce and brown sugar instead of the dark soy sauce. The sub is for the Dark Soy Sauce, which is different than regular soy sauce. Dark Soy is thick and sweet. 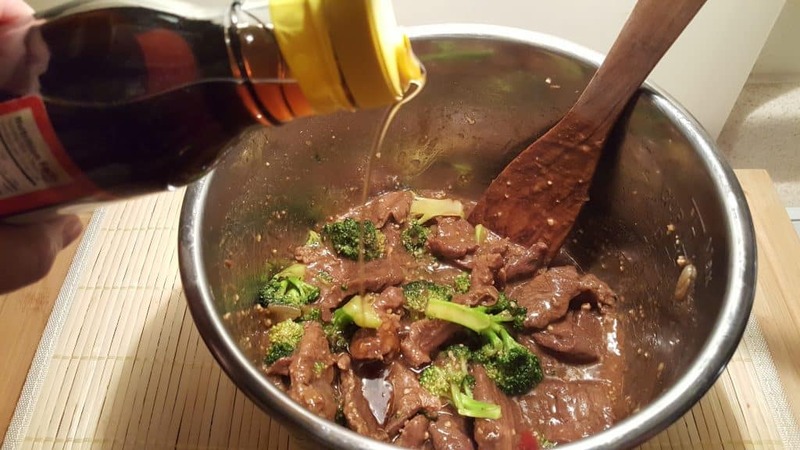 You would still use the regular soy sauce and to substitute for the Dark Soy Sauce, use 3 Tablespoons of molasses or brown sugar and one additional teaspoon of soy sauce. Black Soy Sauce is sweet, like molasses. If you want to use the Tamari, you might need to add a little sweetener, like brown sugar, but you could try. Just made this – awesome. Some modifications -I didn’t have all the ingredients, but still great!! I used tamari instead of the soy (both black and regular) honey instead of sugar, and I didn’t have 6 red peppers, just 2 jalapeños fresh out of the garden, used seeds and all!! Oh, and arrowroot to thicken. And I had a bok choy to use up, so put that in with the broccoli! Came out great!! 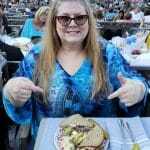 Only my second IP meal – I’m one of the Prime Day people! Love you site and my new IP!! I am going to make this for dinner tonight. 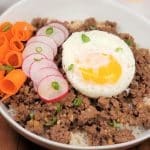 Are there any specifications for layering the ingredients if I want to cook the rice with the beef? Just go a head and add in the rinsed rice with the correct amount of extra liquid/broth after you have marinated and sautéed. Then mix all together. I assume you will still want some “gravy” and not a dry dish. Excited to try this! I just heard about the Pot-In-Pot method for cooking rice at the same time as your main dish in the IP, just in a dish placed on top of the meat. Are you familiar with this method? Would it work for this dish? I do pot in pot all the time. You sure could cook the rice at the same time in this recipe, using pot in pot. Under instructions #3 in says: In a bowl mix together Soy Sauce, Black Soy, Chinese Five Spice, peppers and Chinese Five Spice (if using). Chinese Five Spice is listed twice. That cant be right! ? When is the GARLIC used? I woudl think the marinade but its not even clear fro the printed copy of the recipe what the ITEMS in the marinade are…? HW, it’s quite clear about the marinade. In the ingredients list, all the marinade ingredients are bundled together. The pot in pot pan is out of stock, any other suggestions? 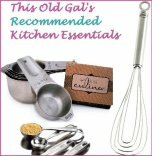 Thank you for your great recipe and detailed instructions and tips. I know it takes a lot of effort to get this precise and ready to publish. We appreciate it! FYI, the steamer rack stand you link to is only 2″ tall, even though it looks tall on Amazon. So far this is the only 3″ tall one I have found, and just ordered it so I can’t confirm. The height of the steam rack I suggest is a good height. You need room to put in the pan. Thank you for your recipes and ideas. You make familiarizing myself with my new IP easier. I’m wondering if I can use chicken instead of beef in this recipe. If so, what changes would you make? Would you cook it longer or less time? And how would that affect the rice if I want to make it in the same pot using your PIP method? I’m very new to IP. Thank you for help. this was another winner ! I did pot in pot – -I ordered the ric epot that came with the spice cups. Worked perfectly. so thrilled. it was a bit salty, and i used less sodium soy sauce, is there any way to cut down the salty flavor at all? doubling the rice portion helped..just curious. this was such delicious flavor, thank you for the recipe ! Just bought my IP today and this was the first recipe I made. Did pip and hubby had 3 servings! He’s miserable, but happy. Thank you. So good. Hahahaha, thanks for the chuckle. I am thrilled you both enjoyed this recipe. 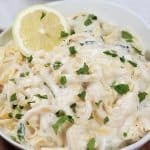 I would love to make this recipe with fresh chicken breast instead of beef. I was going to cut them up in chunks, so how would I change the cooking time? Would you sub out any of the other ingredients? Thank you! 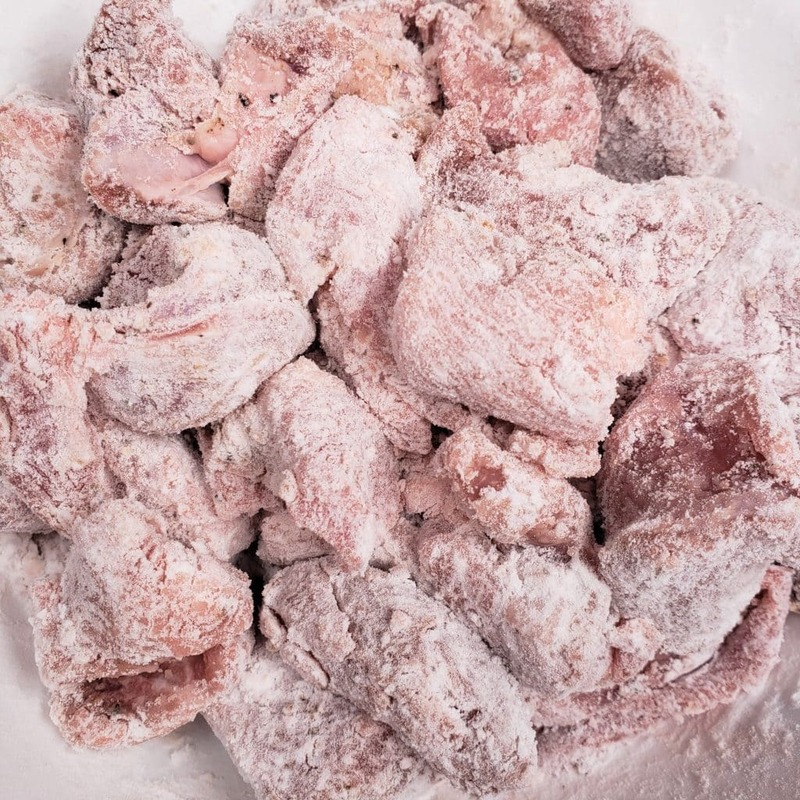 If you are going to use chicken instead, then reduce the cook time to 3 minutes. Keep everything else the same. Soy Sauce does not sub for Black Soy. Black Soy is sweet and thick like molasses. Hi! Your page has been so helpful for getting me started with my IP! I’ve got the 8 qt. Because I cook for large groups, so if I want to double a recipe such as this one, would anything change? Hit your link for black soy sauce thru Amazon and received double black soy sauce. I also ordered the long legged trivet with your link. But did not receive tall ones, received two same height whick is only 1″ not 3″ as you suggest. Where did you the IP insert? Did it came with the lid? How is this if I substitute Coconut Aminos for the soy sauce? We have a soy allergy at our house and heard this is a good substitute, although I’ve never actually tried it. I simply by pass any recipe with soy sauce, but I keep reading awesome reviews about this recipe!! Hi Christy, that is fine, but don’t sub the Black Soy for the Aminos. That would be a brown sugar sub. 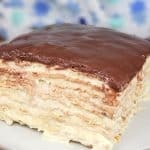 Thanks for sharing this recipe, I want to try it soon. I’m really interested in the dessert pans you used here. Can you tell me how else you use them? I am thinking cheesecakes..and flan? What other savory dishes can you use this for? What other pot in pot meals/recipes do you have? I’ve been seeing some butter chicken recipes on facebook and I’d like to have cardamom rice cooking at the same time but not sure if that is being too ambitious for a newbie like me. I made this today, and took a special trip on my bike to get the black soy sauce. I found “thick soy sauce” with the key ingredient being molasses. So I think it’s an equivalent. I did the rice at the same time–absolute perfection! The problem I had was that the final result was very dark and had an bitterness to it. I don’t like the cloying sweetness of many Americanized Chinese dishes, but this seemed to be missing some sweetness. It was just too bitter. Your photos suggest it should all look brown. Mine was almost black. Any thoughts on what I might try? Because it’s worth trying again. I’m new to the IP. P.s. made your baked beans today, too. So good! Can this be made with boneless chicken thighs instead of beef? Would you modify the time under pressure? Thanks! Hi. Can frozen broccoli be used? Thanks! Can frozen broccoli be used? This was fantastic and will be added into my rotation of meals. I used bite sized pieces of boneless skinless chicken breasts and cooked for 3 mins. I did have to omit the Chinese peppers, as I could not find them, but we didn’t miss it. Also, I couldn’t find black soy sauce, so I used the sub (low sodium soy sauce + brown sugar) and it was still excellent! Another keeper! I am just making this recipe and am almost finished. I included sesame oil in the marinade as it was listed there but then I see step 12 says to drizzle toasted sesame oil. Is that different from the marinade sesame oil? I used sweet soy sauce nad it wsa thick and tasted great. When I went back to the store they had black soy sauce thta had molasses in the ingredients but it wasn’t thick at all. Is this still ok? Thanks for all the amazing recipes. I followed d the directions but didn’t have regular Sesame Oil so I used Sunflower oil. The taste was great but a little too much cinnamon tasting. I can’t figure out where the cinnamon taste came from. I even bought the black soy sauce that was posted in the recipe. How do I tweak to taste less cinnamon? This is super. Dad said it tasted just like takeaway. Super easy to make and tastes great as leftovers too!